There are ways to improve your school’s health and to decrease the impact on the environment. A healthier school is a better learning environment. Plus, greening your school may lower its operating costs. 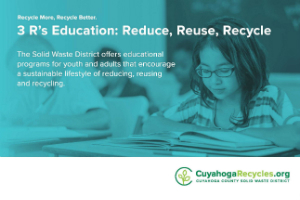 For details about starting a recycling program at your school, contact our Education Specialist at 216.443.3731 or send an email. Paper can easily be collected in about every room of the building. Paper products make up around 90% of what a school throws in its dumpster. 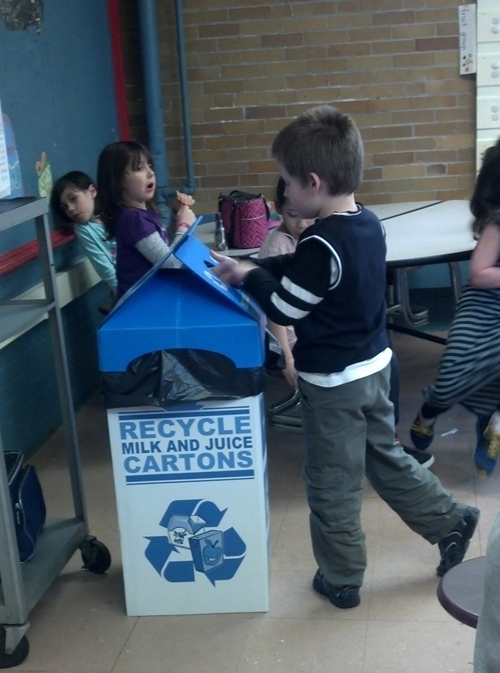 Place recycling bins in the cafeteria and around the school to collect empty cans, cartons and plastic bottles. Make sure to include a sink or bucket in the cafeteria for students to dump out any remaining liquid before recycling. Learn more about the Let the Carton Live On recycling program for your school. Don't throw your old electronics away. Computers, printers, toner cartridges and other electronics equipment can be easily recycled without much effort. Collect and recycle automotive fluids at your vocational school. Serve cafeteria food on sectioned trays that can be washed and reused. Optimize food planning to reduce leftovers. Donate leftovers to a local food bank or hunger center. Compost organic leftover from lunches and cafeteria waste. Compost bins are available for purchase from the Solid Waste District. Encourage students who pack a lunch or snacks to use a reusable bag, reusable containers, utensils and a cloth napkin. Send all flyers, announcements, newsletters and notes home electronically. Reduce the number of paper copies that you make. Include automatic paper towel dispenser in bathrooms. Donate extra or unwanted classroom and art supplies to an organization in need. See a list of local options. Evaluate the need for hazardous chemicals in the school. Remove sources of mercury. Use alcohol thermometers instead of mercury ones. 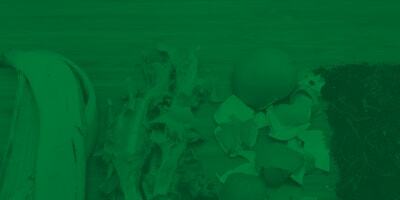 Institute an integrated pest management system and eliminate the use of toxic pesticides. Replace hazardous cleaning products with non-toxic, natural or biodegradable cleaners. Create greater flexibility for indoor climate control by placing thermostats in classrooms or in regions of the building so teachers can adjust the climate. Set thermostats to automatically lower temperatures during non-operating hours. Install equipment that would decrease the need for lights. Include daylighting features and motion light sensors. Install vegetation that creates windbreaks for the buildings as well as provide shade during warmer months. Have students monitor the school's energy and water usage as a class project. Install equipment that will decrease water usage. Fix leaky faucets. Revise procurement specifications to give preference to green products. Purchase recycled content materials. Choose paper products with the highest percentage of post-consumer waste. Include proper ventilation systems for indoor air. 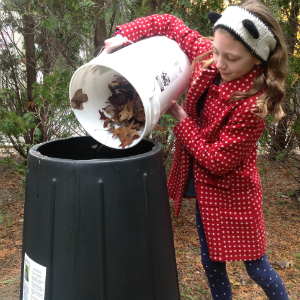 Make the school grounds have an outdoor learning lab with a garden, pond and compost pile. Plant native vegetation. Design pedestrian and bike-friendly routes to school. Replace old non-renewable gasoline powered buses with buses that operate on renewable energy. 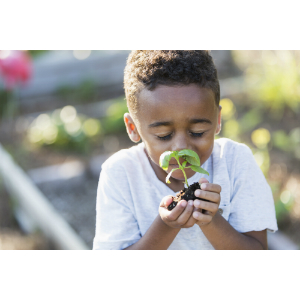 Adopt an Environmental Policy for your school district that creates a sustainable program for administration, staff and students to participate. prevent the extraction or removal of more natural resources from the environment. Saves energy. Less electricity to operate machines and/or natural gas to melt a material is needed. Saves space in operating landfills. 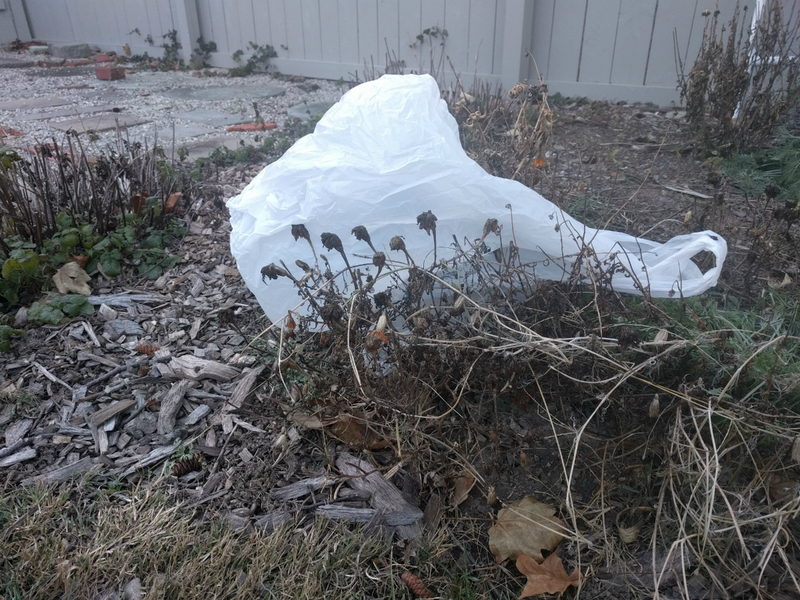 If less trash is being disposed of in a landfill, then the landfill can accept trash for a longer period of time. Less landfills will be built, which will preserves green space and farmland. Decreases water usage. Fewer manufacturing steps that need water for cooling a machine will save water. Decreases greenhouse gases. 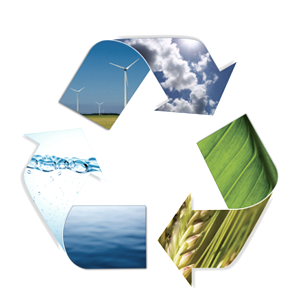 Less fuel is used to make recycled content products; therefore, less carbon dioxide is generated. Recycling also supports economic development by supplying jobs at recycling centers and businesses that buy and sell recycled materials and remanufacture, ship and sell recycled content products. Also, businesses pay taxes in the communities that they operate. Taxes help pay to maintain roads and to provide services like police, fire and garbage removal. Schools can recycle the same items that are recycled at home, although only items like aluminum cans, paper and cardboard might raise a small amount of money. See below for specialty materials that can be collected as a school or group fundraiser. Think about being a green product in bulk like water bottles or canvas bags and selling them for a profit. You can reduce trash and earn some cash. For paper recycling, call 216.325.1500. A school and school district can collect mixed paper, phone books and cardboard. For paper recycling, contact 330.535.1001. A school and school district can collect mixed paper, phone books, hard and soft-bound books and cardboard. Collect Capri Sun pouches in the cafeteria. A group will need to be responsible for cleaning them out and preparing them for shipping. Art supplies, athletic balls, binders and other school items can be recycled via Terracyle's Zero Waste Boxes. See what else you can collect through Terracycle. It may not earn you money, but you’re preventing more materials from going to the landfill. Collect crayons and ship to Crayon Recycle Program, c/o Opportunities Unlimited, Community Work Center, 2680 Oneida Lane, Rhinelander, WI 54501. The website has ideas on helping to fund the shipping cost of the crayons. Collect cans and earn cash from any scrap metal dealer. The Hi-cone company will recycle six-pack rings through their Ring Leader Recycling program. Sell recycled newspaper pencils with great scents. The company will evaluate the books collected and offer cash for those that can be resold and will recycle the rest. Help stop global warming through selling We Add Up products. Create a Zero Waste Lunch buy selling as a fundraiser Wrap-N-Mat food wraps and bags.